How to quit your job and earn income from mutual funds? Mutual funds can be a good source of income if you understand it well and invest wisely. A large majority of the population is working for someone else on a job that they may or may not like. There could be a good chance that you too are employed and working for someone else. However, just having a job doesn’t guarantee job satisfaction. Thus, a lot of people are quitting their jobs and looking for alternate income options to support themselves or their loved ones. If you too are in a similar situation and want to quit your job, you can consider Mutual Funds as a source of your income. Yes, you read it right. Mutual funds can be a good source of income if you understand it well and invest wisely. 1. Suppose you have a fund’s portfolio. So the income earned from dividends on stocks and the interest that you earn on bonds comprise the first type. These are usually given to the fund owners annually through distributions. You can either take the funds you receive through distribution or you can even choose to reinvest it back to buy more shares. 2. If your fund manager decides to sell some securities because of their increased value, you tend to benefit from this sale as well. The capital gain is thus shared with all the investors at the time of distribution. 3. If you see an increase in the price of the fund’s holdings but your fund manager is not willing to sell it, you can sell your mutual fund shares to earn a profit. This way you can benefit from the increase in price and boost your income from mutual funds. 1. 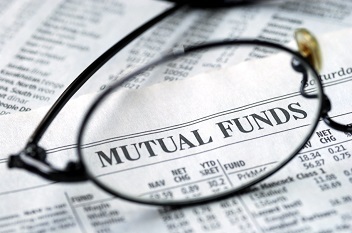 Ensure you know the mutual funds you are investing in, very well. Consider the underlying holdings, risks, investment strategy, tenure, and thereason for investing in that specific mutual fund. This would give you a better and clearer picture of your goal and help you profit in the long run. 2. Mutual Funds tend to give decent income when you hold it for long enough. So consider a tenure of around 5 years or more when investing and expecting returns. This way you can benefit from the power of compounding and the returns you get might also be greater than that you would get in the initial periods. 3. Try and pay off all your large expenses before you quit your job and rely on mutual funds for income. This would ensure that you are not in debt even if for some reason the market hits a low. Consider the tax efficiency of your mutual fund and your returns you earn as income as well. This could be helpful in increasing your profits in the long run. Quitting your job is not an easy decision. It might pose a lot of challenges including financial ones. But worry not. Mutual Funds are there to help you earn a relatively decent income if you take into consideration the points mentioned above and invest wisely. Be sure to do your homework, weigh all the pros and cons before you quit so that you don’t regret later. You can even take professional help from experts who would be more than willing to guide you on how you can earn income from mutual funds.